After leaving Alum Rock Park I drove west into San Jose, which is home to many software and computer companies. A big interchange in downtown San Jose is West Taylor Street and State Route 87 (Guadelupe Parkway). 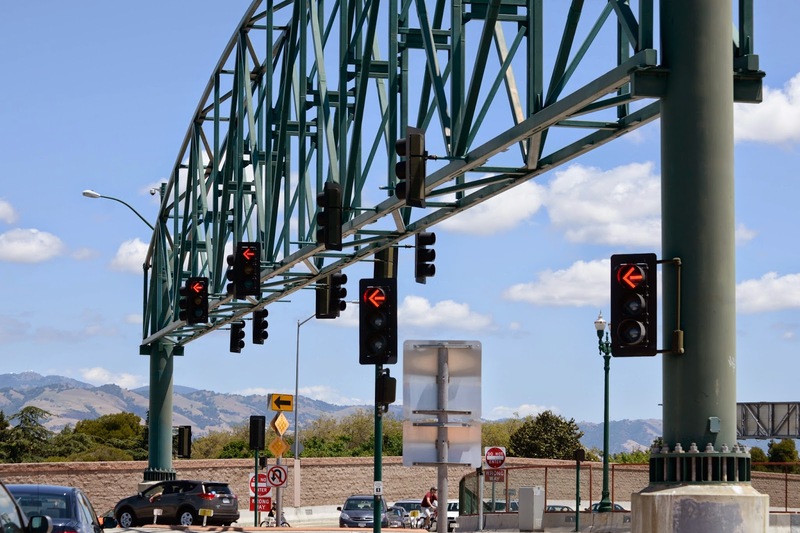 The nicest thing about the Taylor Street Urban Interchange (37 0583) is the large truss-like structure that carries traffic signals for the different intersections. The Interchange is a 23 span cast-in-place box girder structure in the shape (in plan view) of a giant 'H.' It was built in 2000 by Caltrans. 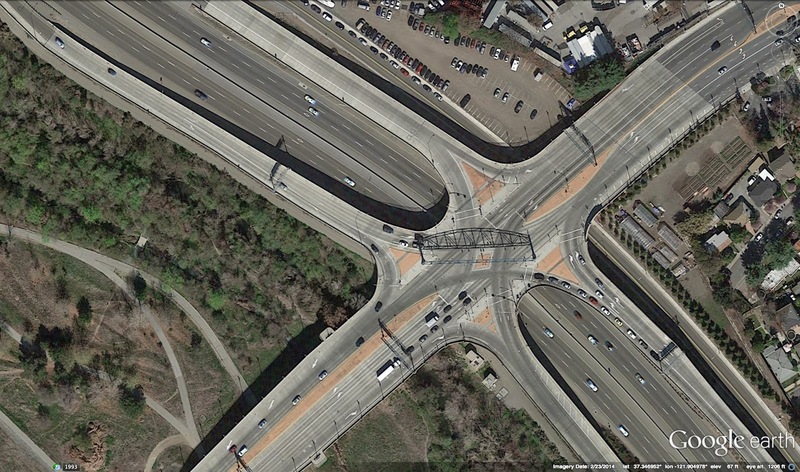 However, it's the giant signal structure mounted on top that's the most unique and unusual part of this interchange. Santa Clara County, California Bridges: Taylor Street Urban Interchange in San Jose by Mark Yashinsky is licensed under a Creative Commons Attribution-NonCommercial-NoDerivatives 4.0 International License.